Skin toners are popular beauty products. But what does toner do for your face? They can be applied as a cream, lotion or as part of a cleanser. The intention of a skin toner is to shrink the pores and rejuvenate the skin. To best include skin toners into your skin care regime, you should know why it betters your skin and how to choose and apply it on your face. What Does Toner Do for Your Face? What does toner do for your face? Refresh it. 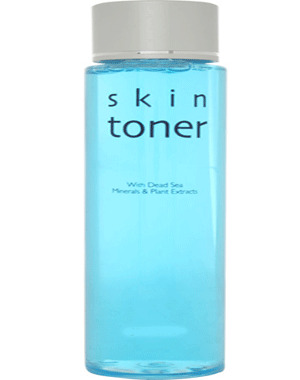 Toners can help remove remaining makeup or impurities that can cling to the skin. This will provide you with a clean slate to provide any additional skin care treatments as necessary. Toners also provide a refreshing element after stepping out of a hot shower or during the summer months when you are more prone to sweating. Selecting a toner that has vitamins and antioxidants will help refresh the skin, providing a boost of energy and calm. Certain ingredients in a toner such as aloe, or witch hazel can also tighten the skin to improve the overall look. Toners that contain fortifying elements such as vitamins A, C and E will rejuvenate the skin, simulate cell production and reduce the damage done by free radicals. This will also increase your skin’s development of hydrolipidic film, providing a protective barrier that will help your skin retain moisture and maintain the capillary walls. Your cleanser will likely strip away a great deal of moisture from your skin. Toners can help you replace this vital moisture and bind it to the skin. This will draw water from the dermis to the epidermis to reduce the appearance of irritation. Using toners with peony flower extract or royal jelly are ideal for these purposes. Using a toner that contains botanical extracts can help tighten your pores, limiting the risk of allergens or impurities from agitating them. This will help you avoid unsightly or painful blemishes or pimples. This kind of toner is astringent and usually contains alcohol, however, you should be careful with toners with alcoholic ingredients because your skin can be further irritated. Many toners contain exfoliating agents that can help remove flakes of dead skin. Gently exfoliating helps to bring out the natural brightness of the skin and will also help to prevent ingrown hairs. Toners with alpha hydroxy or glycolic acids are typically used for this purpose. The last answer to "what does toner do for your face?" is balancing skin pH. The skin is naturally acidic with a pH balance around 5-6. Cleansing the skin will strip the natural oil that helps maintain this pH balance due to the alkaline nature of your soap. This will cause your skin to produce an excessive amount of oil to replace what was lost. Toners will help your skin maintain the proper pH so your skin will remain healthy. Step 1: Wash the skin thoroughly with a cleanser or mild face wash. Step 2: Pat the skin dry. Do not scrub with a towel or washcloth as this can cause irritation. Step 3: Apply a small amount of your toner to a cotton pad or ball. Avoid dipping your cotton in the toner as this can leave streaks or contaminate your product. Step 4: Use a gentle stroking motion to apply the toner to your skin. Avoid rubbing the product into your skin. Allow the product adequate time to dry, then apply a moisturizer to complete your cleansing routine.